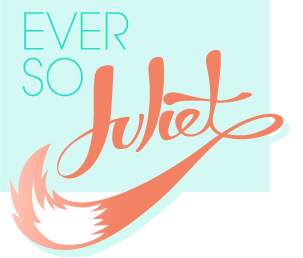 Ever So Juliet | Edinburgh lifestyle blog: February sponsors! I've said it before, but lifestyle blogs that mix chatter, recipes & the occasional crafty project are my very favourite! Jen's blog is a perfect example of this - especially her recipe posts (how amazing do they look?!). It's the third month in a row that the lovely Studio 336 have been on my sidebar - have you checked them out yet? Erin's an art graduate & etsy-shop owner, who blogs about handmade goods, DIY ideas & snippets of everyday life. If you would like to sponsor Ever So Juliet then you can do so here! This site reaches 11,000 unique users per month (eek! ), so it's an ace & very affordable way to show off what you do. Adverts start at only $5 (which is £3!) for a month on site & a spot in my monthly sponsor feature. Alternatively I am also always up for a button swap, so please feel free to send me an email (thisisjuliet @ gmail.com) or comment below if you fancy it. Thanks!